The indictment of TSA is complete. The Israeli airline, El Al, is asking permission to screen it’s own baggage instead of the TSA agents. The underlying question is, are the TSA agents so incompetent that a foreign airline will not trust our agents to check their baggage for bombs? There is one word for that. Yikes! “This was strictly at the request of El Al, and we want to be sensitive to the security threats they face in their particular part of the world,” said Amy von Walter, a TSA spokeswoman. The arrangement, which also allows El Al Airlines to use its own screening personnel, points to a continuing problem in the U.S. government’s ability to safeguard commercial airliners. Since the Sept. 11, 2001, terror attacks, undercover tests at U.S. airports, including Newark Liberty, have consistently shown that TSA screeners miss a significant number of fake explosives. Aviation experts agree El Al has the toughest airline security system in the world, including intensive training of its personnel, extensive luggage searches, tough questioning of passengers and armed guards on board every flight. 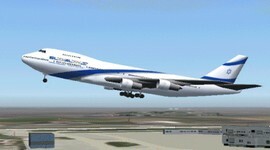 Israeli airline gains control over screening . 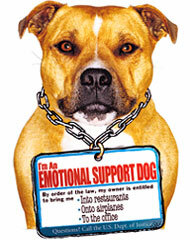 If you see someone with their dog or pet on your next flight or at your favorite restaurant do not be surprised. The person is probably not pulling a fast one. They are using a new provision in federal policy that allows emotional support pets on flights or in restaurants, and their is nothing the companies can do to stop this. So if you think cell phones are annoying, wait till you are seated next to a person with a yappy dog for a 4 hour cross country flight. Health care professionals have recommended animals for psychological or emotional support for more than two decades, based on research showing many benefits, including longer lives and less stress for pet owners. But recently a number of New York restaurateurs have noticed a surge in the number of diners seeking to bring dogs inside for emotional support, where previously restaurants had accommodated only dogs for the blind. The increasing appearance of pets whose owners say they are needed for emotional support in restaurants — as well as on airplanes, in offices and even in health spas — goes back, according to those who train such animals, to a 2003 ruling by the Department of Transportation. It clarified policies regarding disabled passengers on airplanes, stating for the first time that animals used to aid people with emotional ailments like depression or anxiety should be given the same access and privileges as animals helping people with physical disabilities like blindness or deafness. via New York Times . Traveling in Maine is probably not a great idea 9 months of the year, but during the summer months it can be a great place to visit. As opposed to staying on the coast, a great alternative is staying off the coast on a mini cruise ship. The three diminutive ships of American Cruise Lines — American Eagle, American Spirit, and American Glory — carry no more than 100 passengers apiece. They poke along the Atlantic coast, slipping into historic, sleepy ports and letting passengers explore the quirks of these salty towns. 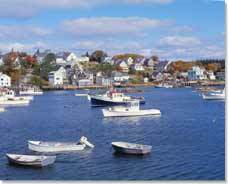 The Cruises visit some of the seaside towns of Maine showing the beautiful coastline during its travels. 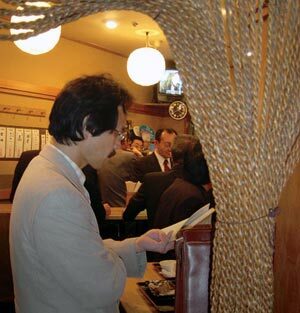 Tachinomiya, or standing bars, are bars in Japan that offer low cost drinks but no seats. They are designed for a quick drink on your way home from work. An interesting concepts as they are becoming popular in Japan, but growing up in New York, Penn Station and Grand Central Stations were full of tachinomiya. They just were never called a fancy name beside bar. IN Tokyo, where cafe floor space is at a premium, some bars are abolishing tables and chairs altogether and stacking customers vertically along a bar. They are known as tachinomiya, or standing bars, and they are sweeping Tokyo. Their popularity is fueled by low prices and the opportunities they offer many young, shy Japanese to mix and mingle with whoever is standing next to them. Generally found close to Tokyo’s major commuter rail stations and open from 4 . to 11 p.m., tachinomiya are ideal for an end-of-the-day stop. A visitor can sip a glass of imported wine, nibble on tapas and rub shoulders at the bar. Many of the tachinomiya are literally holes in the wall. But some, like Gohiikini, have Web sites with maps that can be printed out for an evening of hashigo or bar hopping. via the New York Times . In another amazing move by the EasyGroup founder, the cruise line easyCruise is doing very well with their low cost formula, and the proof is in the pudding. The company is negotiating for 4 new 500 passenger cruise ships. EasyGroup, the holding company of Greek entrepreneur Stelios Haji-Ioannou, said Monday it planned to order four cruise ships from a Greek shipyard for use by its low-cost cruise business easyCruise. The deal, which was signed by Haji-Ioannou and Neorion Participants, states the intention of easyGroup to buy four ships with a passenger capacity of 500 passengers each. Haji-Ioannou, the founder and chairman of easyGroup, said the contract, for an undisclosed sum, was awarded to Neorion Participants ahead of rival offers from shipyards in Spain, Italy and Germany. Resolution of several outstanding issues in the next few months would lead to a firm order for the ships, Haji-Ioannou said. As many of us noticed, the threat of the strike by the pilots cost the airline millions of dollars per week. 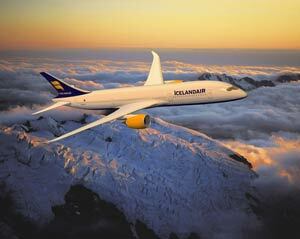 The end result of all this posturing, more damage to the airline and not much difference to the long term future. Delta, which filed for bankruptcy protection in September, previously agreed to $1 billion in annual concessions, including a 32.5% wage cut, in a five-year deal in 2004. It then sought an additional $325 million in cuts from its nearly 6,000 pilots, who threatened to strike as an April 15 deadline for an agreement approached. The Monterrey region has seen a shift in what goes on with some of their tourist boating excursions. They originally were used for fishing trips, but most of the boats have been converted for whale watching cruises. 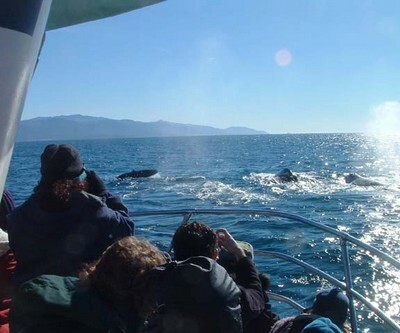 Four of these businesses are based in Monterey, on Fisherman’s Wharf, a quaint tourist magnet — Monterey Whale Watching, Chris’ Fishing Trips, Randy’s Fishing Trips and Monterey Bay Boat Charters. All have been in business for many decades, beginning life as sport-fishing charter operations. Fueled by growing environmental consciousness, films such as Free Willy and countless Discovery Channel documentaries, public interest has shifted from catching salmon and rockfish to oohing and aahing as giant whales spray spume into the foggy Monterey Bay sky. That, combined with ever more stringent Fish and Game Dept. regulations, turned the formerly gore-slick decks of boats with such macho names as Top Gun and Magnum Force into floating marine biology classrooms, complete with narration by trained naturalists. via Silicon Valley/San Jose Business Journal: . San Antonio has joined a host of cities that are suing internet travel companies (Hotels.com, Travelweb, and Travelocity) for failure to pay local taxes for hotel room rentals. While I am not a big fan of these taxes, I do not blame the cities for trying to get the back taxes and leveling the playing field. Spokesmen for Hotels.com, Travelweb and Travelocity were not immediately available for comment. The suit was filed in federal district court in San Antonio Monday morning, said Steve Wolens, of the Dallas office of Baron & Budd P.C., who is working with the city of San Antonio. Other U.S. cities, including Los Angeles and San Diego, are pursuing similar lawsuits to recover taxes that have been siphoned away from the cities’ important tourism industries, the release said. Art Sackler, the spokesman for Interactive Travel Service Association, the group that represents online travel sites, said the suit is misdirected. 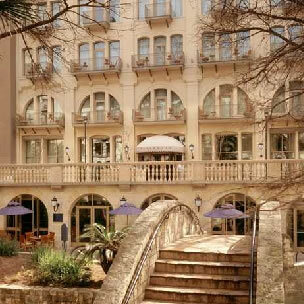 Many large Texas cities like San Antonio rely on hotel occupancy taxes that come directly from local convention and tourism industries, according to a release from the city of San Antonio. For example, there are more than 33,000 hotel rooms in Dallas that generate millions of dollars in taxes for the city each year. It is estimated that Dallas loses $1 million to $1.6 million every year in unpaid hotel occupancy taxes. 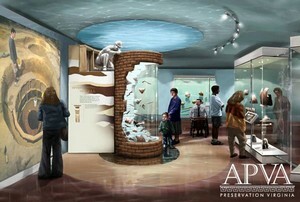 via Dallas Business Journal: .